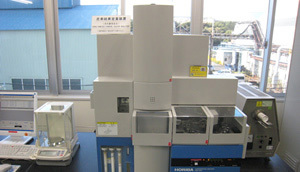 [Carbon, sulfur analyzer] Daido Bunseki Research Inc. Principle Samples are put into a porcelain crucible, and are burned with high-frequency heating in an oxygen stream. 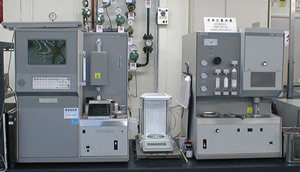 The concentration of emitted CO2 and SO2 gases is measured via infrared absorption equipment. Gas concentration is converted into rate of content.